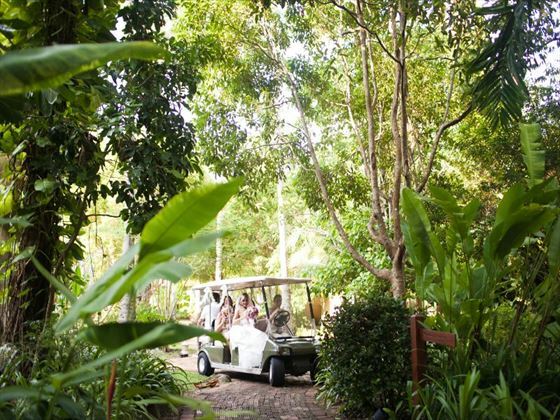 There is no better place to celebrate your love than at Rayavadee, set amongst nature that rejuvenates itself yet is intrinsically unchanged even as time moves on. A wedding beyond compare. 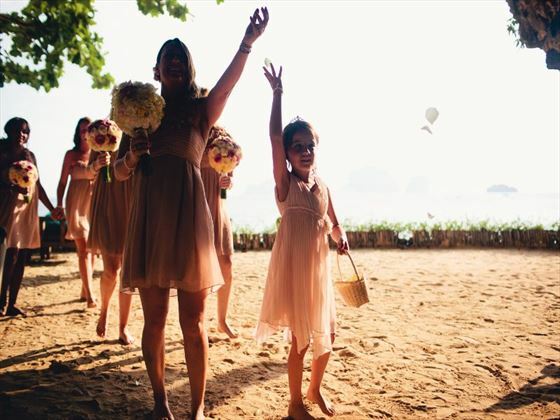 A fantasy created from the depths of your imagination and brought to life amidst coconut groves, beaches, the Andaman Sea and the jungle-covered cliffs of Southern Thailand. 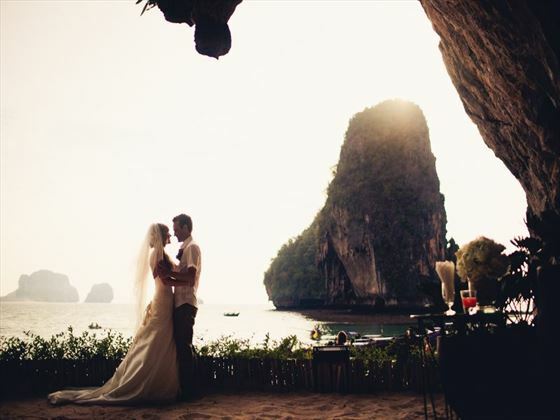 The hotel offers a number of beautiful settings for your vow ceremony and venues include The Grotto, an ancient limestone cave overlooking Phranang Beach. The Umbrella Tree Court, an outdoor deck situated under a number of large shady trees or the Coconut Lawn or Nam Mao Lawn. 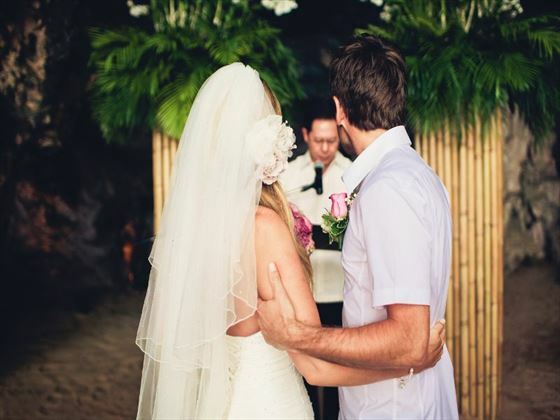 These venues offer open lawns surrounded by coconut palm trees. The Coconut Lawn is located next to the main swimming pool near Railay Beach while the Nammao Lawn is located near the hotel’s reception area.